If you are a follower of my Facebook page, then you would lnow that I was rushed to the ER of Medical City last Wednesday morning, but I am not here to tell you why. As in intro, it was because I had taken a vacation leave for 2 days to prepare for my daughter's birthday, but sadly most of it went to my recuperating. I felt down since I had planned her birthday for more that 6 months. Oh well, had to make do with what I could. I got up yesterday morning and said to myself, I will not allow my health to ruin Dumpling's special day. Thank God my body listened. As early as 4am, Papatin and I woke up and got our butts cracking. He went to the market and I started her cake. It was a last minute decision to actually have food to share with Papatin's Uncle's and Aunt's but it was a great idea. 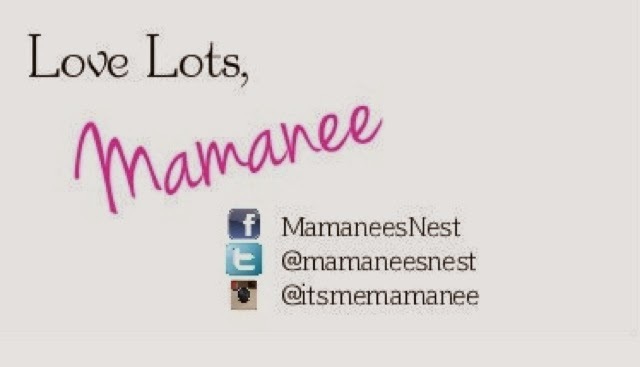 We planned on a simple menu, just like the oldies would say, "ang importante ay mairaos ang handa". 💟 Graham Balls courtesy of Mamanee! 💟 A mini fondant cake with strawberry swirl cupcakes on the side. Dumpling's Uncle came by to pick her up to go shopping and she came home in a completely different outfit! As soon as she got home, out the door we went and off with the kids to SM Cubao to drop by the grocers and get Dumpling a frilly dress and toy. 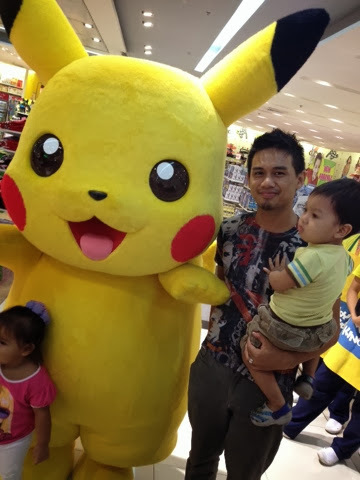 Papatin and Pikachu, oh look, there's Calel! 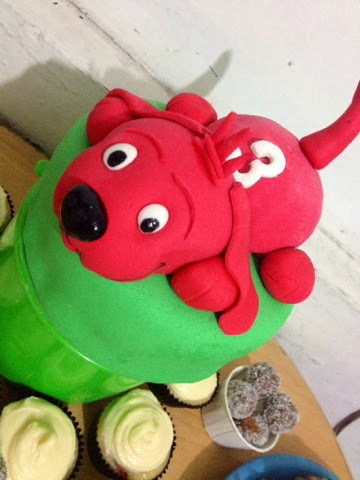 A Clifford the big red doggie cake. 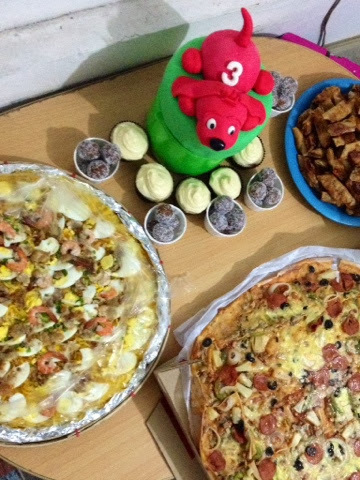 We got the food ready, tagging The Princess Dumpling along in her frilly outfit, we brought food to her Uncle neighbors and then enjoyed the food oursleves, soon after her uncle Lester (my brother) arrived with his long time girlfriend Roxanne and her sister plus boyfie. The Kids fell asleep after so fast! I feel so happy that we were able to accomplish this all on our own despite me being ill.
We love you our dear Princess!